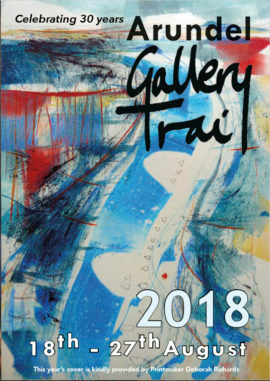 The Arundel Gallery Trail now in its 30th year has provided a platform for more than 5000 artists. 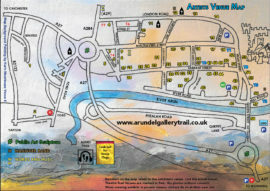 Many of the exhibitions are in Arundel’s beautiful historic homes and gardens not normally open to the public. 18-27th August. Mark and Rebecca Ford created Two Circles Design, an inspired partnership in 2004. Working in the medium of found and grown natural materials, within the South Down’s National Park in Slindon, West Sussex, they make monumental woven environments for both public and private sectors. Mark Antony Haden Ford graduated from a Sculpture degree in 1996 from Sunderland University. Rebecca Ford, an English and Creative writing graduate, grew up near Midhurst lying in puddles and climbing trees. 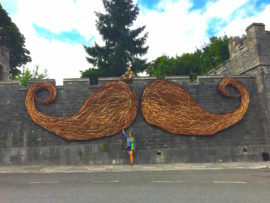 They both have a strong interest in the archaeology, geography and mystery of the natural world, drawing on ancient traditions and techniques of willow craft and woodland management. As international environmental artists, their surreal installations and ambiguous sculptures encompass a wide range of traditional skills and practices. The woven artworks that directly engage with the environment as semi-permanent sculptures are based on seeds and plant forms and the potential of all things.